If you are looking for a reliable Central Slip roofing and remodeling contractor who can take care of all your home renovation service needs, you have come to the right place. Magnum Contracting Group is a Central Slip roofing contractor licensed by the state of NY for home repair and remodeling. We provide a wide range of residential services including roof repair, siding, kitchen remodeling, bathroom remodeling, basement remodeling, and insurance restorations. Getting your home in good shape and exactly how you want it is important. We pay a great deal for our homes, so they should meet our every need. If your home isn't living up to your expectations or your family's needs, call us because we can help you change it. From extensive extensions and renovations to small roof repair jobs, our experts have you covered. Don't trust your home to just any Central Slip contractor, call Magnum Contracting Group for superior service. Our professionals will be happy to assist you with your home renovation projects. It's not uncommon for a storm to pass through Central Slip and knock some shingles down. During high winds or hail storms, the roof damage can be quite extensive. If your Central Slip roof needs repair, you need help fast and you need it to not take too long. You can count on us for fast and efficient roof repair service that returns you back to a normal schedule quickly. Remodeling the kitchen in your Central Slip home offers a couple of benefits you can't miss. First of all, it will completely change the way your entire home looks and feels. Secondly, it is one of the best investments you can make in the resale value of your home. And thirdly, you'll be making changes that benefit the function and aesthetics of your home. Your kitchen is a central feature in your home, as it is one of the places where people spend a lot of time gathering. It's where you prepare food, visit with friends and family, and spend a lot of time cleaning. Having a kitchen that functions better or has more space is going to make it much more comfortable. It will be better organized to make your home more livable. Our Central Slip remodeling contractors will work with you to ensure your kitchen remodeling project is everything you expect and deserve. Let's make some wonderful changes that you and the family will love for years to come! 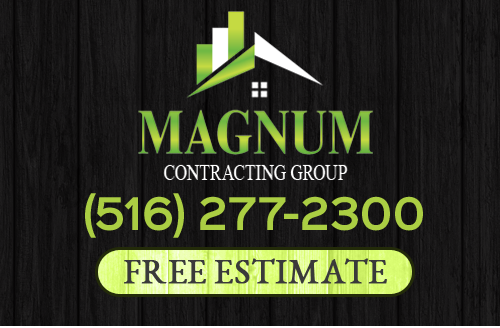 If you need roofing or remodeling services in Central Slip, NY, give Magnum Contracting Group a call today at 516-277-2300 or complete our online request form.